NEXT SHOW: April 27 2019! PATREON CAMPAIGN – PLEASE PLEASE PLEASE – BECOME A SPONSOR!!! 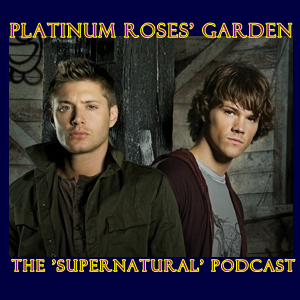 If you enjoy my show Platinum Roses’ Garden, please become a Patron! We do a lot more than this show, and your patronage helps us pay the bills to keep things going. If you join at the $5/month level or above, you get three EXCLUSIVE Podcasts as well – my new show Kaiju Korner, our movie review show Micro Focus, and our entertainment news discussion show Freeze Frame, in addition to a TON of cool perks! Please consider becoming a Patreon Supporter – check out our campaign at http://patreon.com/PNRNetworks and join in on the fun! And help us out BIG TIME in the process! Thanks! Ring Around The Rosie, where I wax poetic about the world of Professional Wrestling…find it at http://ringaroundtherosie.net ! NEXT SHOW: April 20 2019! HELLO KIDDIES…WE’RE BACK! WE’RE BACK! Another great season of our boys is here and I’m gonna bring it all to YOU! NEXT SHOW: April 14 2019! NEXT SHOW: April 6 2019! SPECIAL ANNOUNCEMENT!! IT’S HERE!!! – be sure to check out PNR Premiere AudioVisual Productions’ take on the classic HG Wells story “War Of The Worlds” – Once again, the entire PNRNetworks family is involved and we think you’ll love it – check it out on our YouTube channel!! !